Loving animals is one thing, spending your time and a lot of effort to actively help wild animals is another. 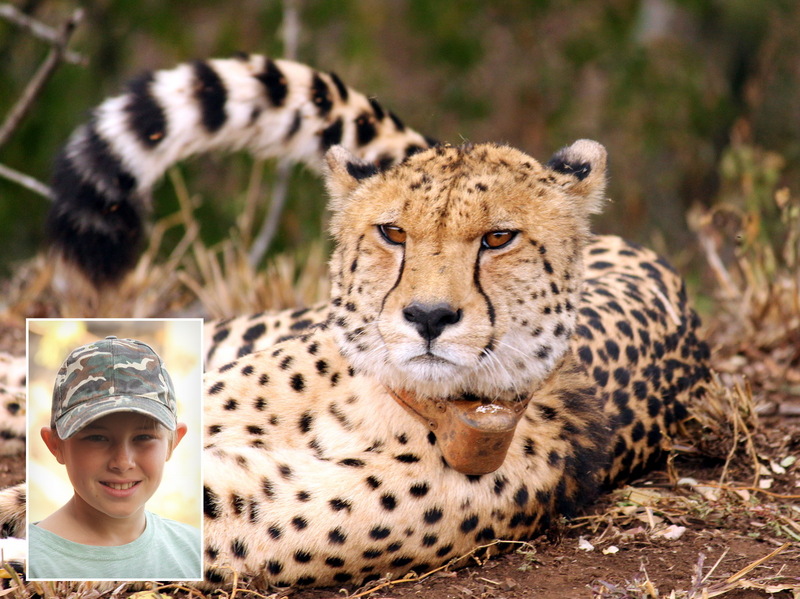 This is the story of Blaise, a 12 year old South African boy, who collected over R17,500 (~USD 1,300) to help study and protect Thanda Safari’s Cheetahs. Instead of Christmas and birthday gifts he asked his family to contribute to his Cheetah fund. When he visited Thanda with his parents to hand over the money Thanda had a special surprise for Blaise. His donation was used as a contribution to buy a GPS collar for one of Thanda’s male Cheetahs. Under normal circumstances wild animals on Thanda are not named, but when they receive a collar for tracking purposes, they are named as they are now part of a research project. And the new name of this male Cheetah is Blaise! Thanks a lot to Blaise for helping Blaise. If you would like to contribute to Thanda’s Cheetah conservation efforts send an email to research@thanda.co.za.